Laurie Hernandez Talks Dancing With the Stars! 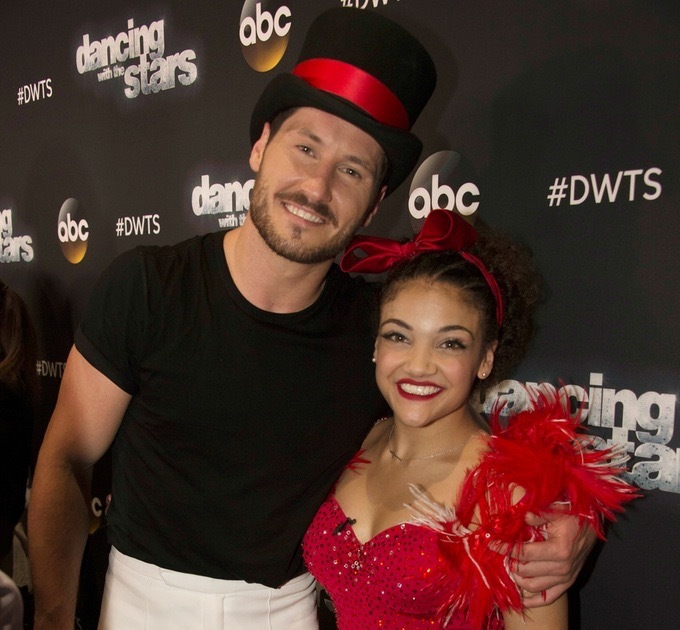 Olympian Laurie Hernandez takes a break from her hectic schedule to talk to In Touch about joining Dancing With the Stars season 23, revealing it has been a “dream come true” and DWTS was even one of her motivations for participating in the Olympics! “The mirror-ball is right up there with a gold medal,” insists the 5-foot New Jersey native, dubbed “The Human Emoji” thanks to her big eyes and super-expressive face. Laurie adds that practicing for DWTS is a totally different ball game then preparing for the Olympics. Laurie explains how she thinks she can teach partner Val Chmerkovskiy a thing or two. “I’m going to teach Val a back handspring before the season is over,” she says. For more from Laurie, including where she keeps her coveted Olympic medals, pick up the latest issue of In Touch, on newsstands now!